I developed this Vegan Chickpea Chili during a stressful week. This easy slow cooker recipe was exactly what my family needed. It’s comforting, healthy, nourishing and flavorful. Best of all, it’s completely vegan with all the hardy satisfaction of a meat stew. What was so stressful about that week, you might ask? 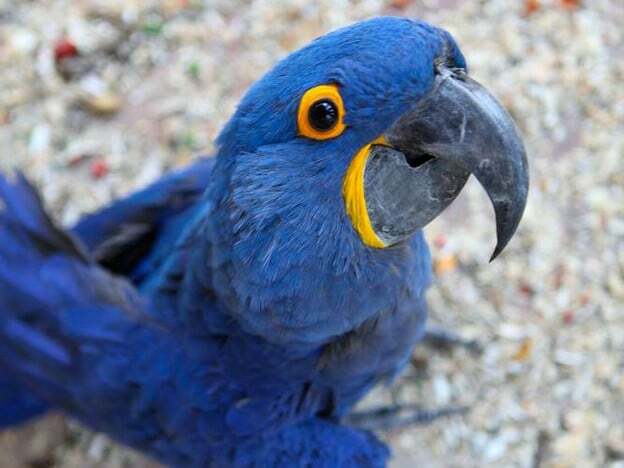 Our large hyacinth parrot, Solomon, managed to escape from his flight aviary. His wings are clipped to protect him, but he’s a huge parrot with a very large wingspan and he can glide if he catches a breeze. We live in a mountain range above Los Angeles surrounded by large expanses of wilderness. Long story short, Solomon caught a breeze. After hours of searching we found him several houses up the road between the yards of two neighbors. He was stuck high in a tree on the side of a mountain, confused and unable to make his way down. We spent hours, tried everything to coax him down. Nothing worked. Even the fire department dropped by; they tried to figure something out, but the tree was too high and too far from the road for their equipment. Both neighbors on either side were tremendously helpful. They spent several hours of their own time throwing around ideas. Solomon wouldn’t budge. He spent the night in that tree, cold and alone. I couldn’t sleep all night for fear of losing him. One of the neighbors suggested that we call his tree trimmers, who are experts at climbing those very high, hard-to-reach branches. This morning they came and they climbed. As they got close, Solomon spooked and caught another breeze, gliding far into the canyon below. This canyon is difficult to access and filled with wildlife– bobcats, mountain lions. Solomon doesn’t know how to feed himself, he’s been raised by humans since he hatched. I thought it was the last we would ever see of him. But these tree climbers didn’t give up. They scaled the canyon walls and located Solomon in a small tree in the center of the canyon. Several minutes and a large net later, they emerged from the brush carrying our beautiful Solomon. He ended the day back in his aviary, munching on bananas and peanuts. What an adventure he had. What does this all have to do with Slow Cooker Vegan Chickpea Chili? Not a whole lot. And yet, during that crazy week I could only imagine cooking something comforting to soothe our frayed nerves. This delicious vegan chili fit the bill. 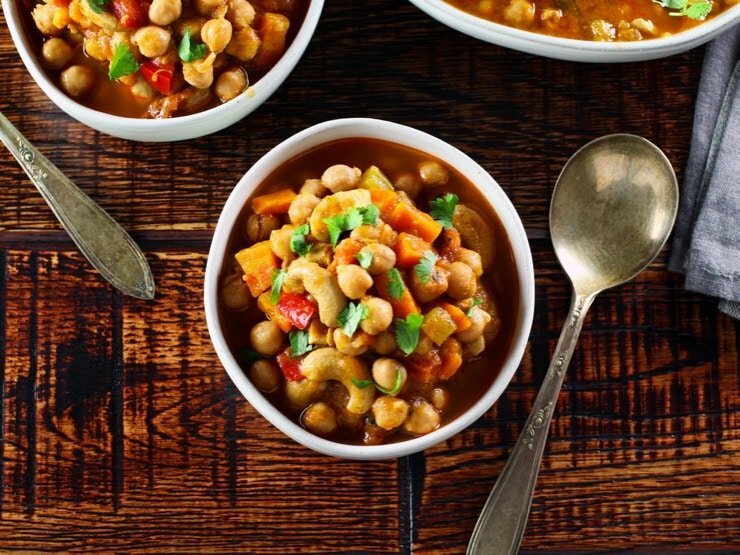 Chickpeas, sweet potatoes, and spices slowly cook together until their flavors meld. The cashews become tender during cooking, giving the chili a hearty texture. 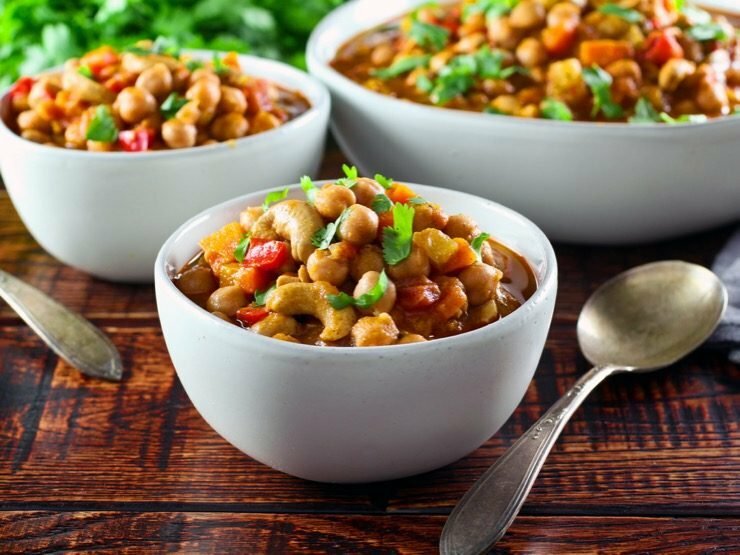 On a holiday week where many are skipping the turkey in favor of a meatless meal, it would be fitting to serve this Slow Cooker Vegan Chickpea Chili. After all, it was developed with a very special bird in mind! This is clean, healthy, meat-free comfort food. I hope you enjoy it as much as we do. 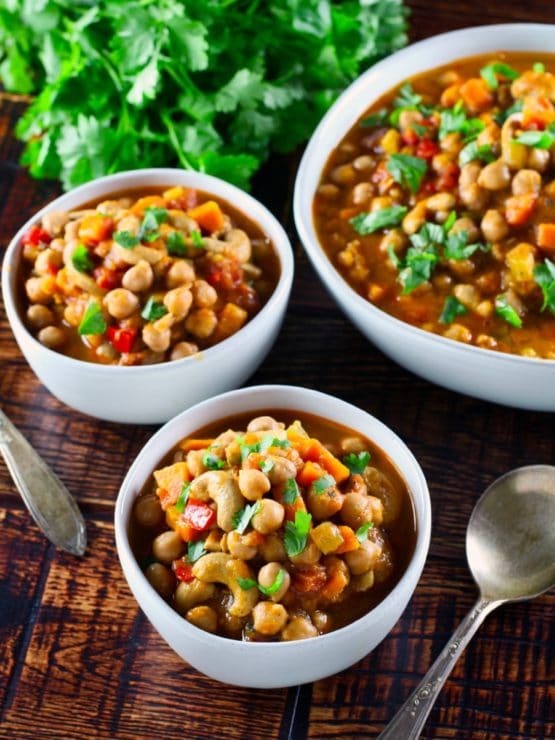 This easy Slow Cooker Vegan Chickpea Chili is healthy comfort food you can feel good about. Chickpeas, sweet potatoes, cashews and spices. In a large saucepan, heat the olive oil over medium-high heat. Add carrots, celery, onions, bell pepper and 1 tsp salt. 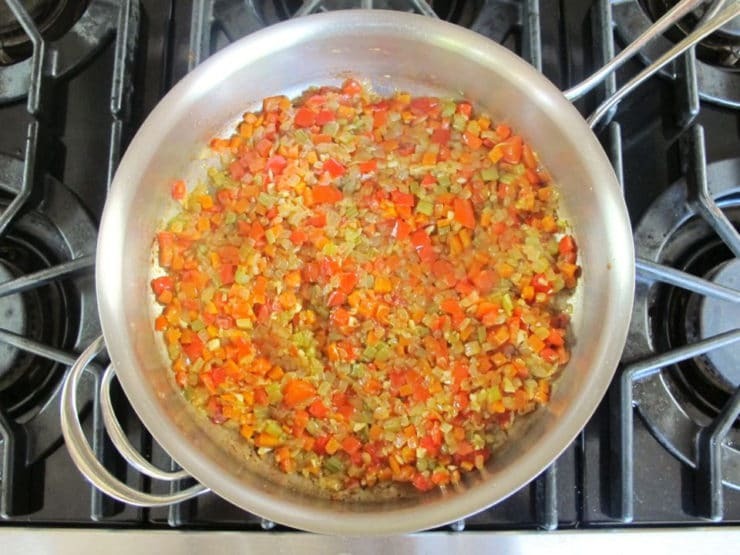 Cook on medium for about 20 minutes, stirring occasionally, until the vegetables soften and have nice color. Add the garlic and cook for 1-2 additional minutes till fragrant. Pour the vegetable mixture evenly to cover the bottom of the slow cooker. 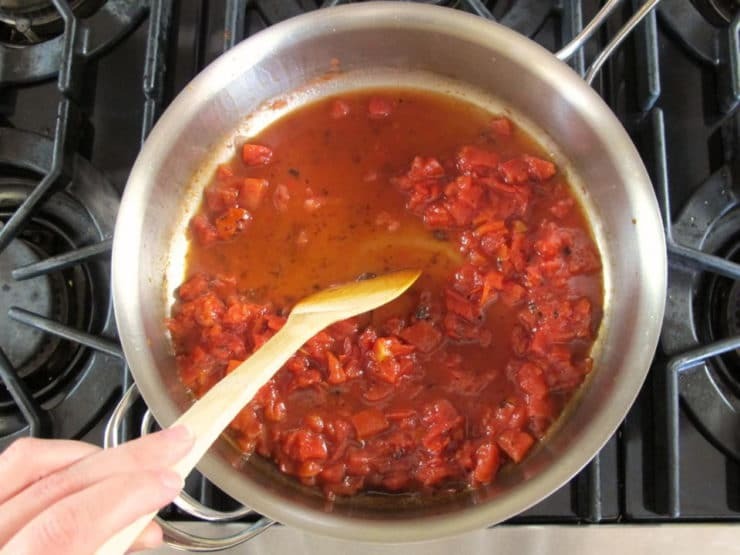 Return the saucepan to medium heat and add the fire roasted tomatoes and vinegar. Use a spoon/spatula to scrape up any brown bits that remain in the pan. Once the mixture begins to boil, turn off the heat. Continue to scrape up as many of the brown bits as you can. Add the mixture to the slow cooker. Add remaining ingredients and spices to the slow cooker (reserve garnish), stir to combine and cover. Cook for 4 hours on high setting. After 2 hours, check your moisture level and add more stock if desired. Continue cooking for remaining 2 hours, or until chili is cooked through. Serve warm, garnish with parsley or cilantro if desired. Tori, so glad your tale had a happen finale! I had a similar experience many years ago when my young (1 yo) Bare Eyed Cockatoo ended up at the top of a 60-ish foot tree. Fortunately, one of my neighbors at the time was a tree surgeon, and he was able to climb the tree to where she was perched. “Okay, I’m near her. What do I do now?” She was very tame and he was able to coax her onto his hand and bring her down. Okay, that aside, I will be making this over the weekend, and I hope to post my impressions once done. Thank you for the recipe and I’m so happy Solomon is home safe and sound. What a stressful experience. As an animal and parrot lover I can’t imagine how upsetting that was. 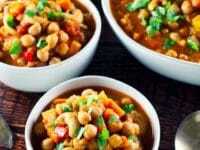 Looks interesting and tasty … we cook an Indian dish called Chole with similar ingredients… must try this too ! A really great vegetarian recipe – Tori you have a wonderful approach to good-sense cooking. Tori, Last spring I taught a lesson on Esau selling his birthright for a bowl of Red, Red Pottage. I found, and used your recipe because I felt it was the most authentic, and I strongly felt that the kids couldn’t relate to what Esau did unless they knew what Red Red Pottage was/is. They loved it and it filled the Church with a yummy aroma. Three weeks ago one of my 10 year old girls asked if I would make it again and bring it the next Sunday. I did, and I had very happy kids, and very unhappy adults. They adults didn’t get any because I went off to a meeting, and my husband grabbed everything and took it to the car. Last week we were talking about Daniel’s Pulse, but unfortunately I never found a real recipe, or even a consistent definition, so we just talked about beans and seeds, and/or fresh veggies. One of my boys spoke up to say he doesn’t like lentils, at which point I said “yes you do”. “No I don’t!”. “Yes you do, You like Red Red Pottage, don’t you?” “yes”. “Well, That’s what Red, Red Pottage is, lentil stew”. OHHHHHHH. Ha! That is a great story Constance. Thanks for sharing! how do you print your recipes without the comments? Sharon, there is a “Print Recipe” button on the recipe card. 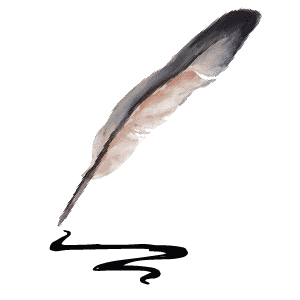 If you use that it will create a print-friendly version. Hi! 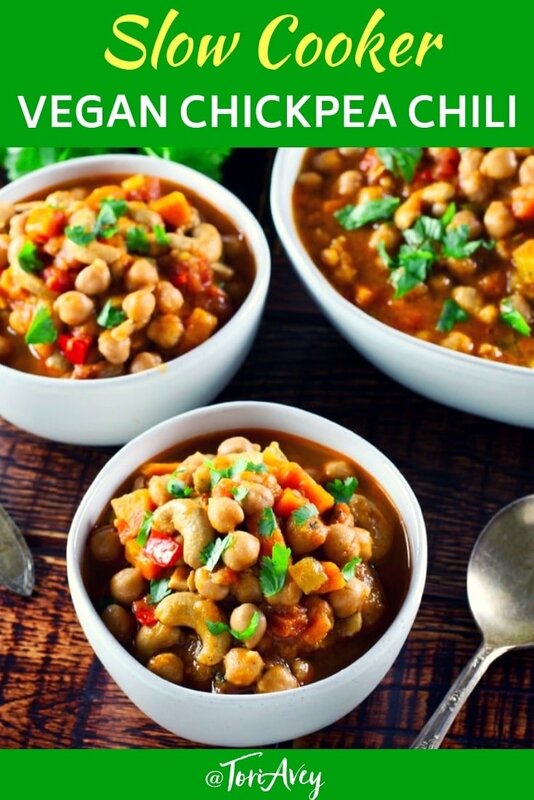 I have made this before with friends and family and it is one of my favorites, but I am wanting to cook it for myself and as much as I think I could probably eat the whole pot, I will probably have a good amount left over. Do you have any tips on how best to store this? Does it freeze well or does it do best to just be refrigerated? You can freeze it, no worries! Cook time at the beginning for slow folks like me ! Also Very Excited that this is VEGAN ! Just saying plan to make this recipe tomorrow but was carried away by solomans tale. Very relieved when you reached the end and he was home safe. Haha yes he’s home and safe, looking at him right now! I made this tonight and loved it! It is so flavourful that you don’t miss having more salt (I used 1/2 the amount of salt it called for and used sea salt) or hot spices. I didn’t have the fire-roasted tomatoes, so I used the suggested alternative of diced tomatoes instead. I used half the amount of smoked paprika and added regular paprika plus 1/2 tsp of liquid hickory smoke (I just didn’t know how much spice the full amount of smoked paprika would add! It wasn’t spicy at all, so I’ll just follow the amount called for in the recipe next time). I only had one cup of cashews and added an additional cup of chopped raw almonds. Each of our young kids ate it and liked it, too! I will make this again and pass it along to others. Thanks so much for sharing! So glad you found your feathered child! Fantastic recipe! Loved it. Didn’t change a thing, perfect as-is. Thanks! I made this chili last night, and it’s honestly the best chili I’ve ever eaten! I’m so glad I came across this recipe. Thank you! i wanna make this to take into work next week but 8 servings would be too much for just me, so i want to cut the recipe down by half and wanted to know if i can then cut the cooking time by half? Hi Elena– no, the cooking time will stay the same. Enjoy! I know this is a vegan recipe, but I am not a vegan. I just love vegetables and want to incorporate more of them in my diet. That’s why I asked about the chicken broth. Sorry. Also, you are an extremely good writer! Solomon looks like he has so much personality and I am happy you were so blessed to have him back. That WAS a harrowing experience! Just because I love chicken broth so much, can you substitute chicken broth for vegetable broth? Great story! Love your blog and the fantastic recipes. Could this recipe be canned in a pressure cooker? Hi. Made this for dinner, smells wonderful, can’t wait to eat it. I count calories and wondered if that was something you could guesstimate on your recipes? Hi Esther, so happy you’re enjoying the recipes! I have recently updated nutrition information for all of my recipes, see above. Always teach your bird to come …start with just walking to you . Clipping wings gives a failse sence of security …if scared enough they can and will fly! If it is twilight or almost dark or dark…then she won’t fly off and ….she will roost in the tree all night and only then should you use this time to go home and work on the computer , put out flyers etc . Be sure you bring with you when you go back to the tree she is in your cell phone water for yourself and food for yourself as well as for her ( bring a backpack) have everything you will need for the day …the trick is to NOT have her loose sight of her favorite person . If she is shy it is better to keep everyone else away so she is more brave to climb down the scary tree she has found herself in . Get up BEFORE dawn and make sure her favorite person is already under that tree when she wakes up . Have her WATER BOWL as well as food make sure you also have a WATER bottle and make a lot of noise pouring the water into her water bowl …and also make a lot of noise with her food feed bowl. too .. you know make lots of yummm noises yourself .. . .. . make a lot of eating noise …. .it is a waiting game and she will climb down the tree to you .. I promise …especially when she becomes hungry/thirsty ! What works like a charm is have your immediate family bring pizza .. that will get her motivated to overcome her fear and climb down ! Have his cage / carrier nearby … and oh if he likes bananas have a great visual effect at as well.. but trust moi … get the PIZZA !!! Remember have your cell phone with you at all times and have your message machine at home with the outgoing message give out your cell number so people can call you … because this is really for you and your bird an emergency . As I said ( again and again ) if you know where he is stay close right near the tree he is in and make sure he sees you are there …. remember this is a waiting game and what ever you do do not let him know you are upset stay calm and act happy so he thinks it is safe to climb down to you . Don’t ask how I know this BTDT … sigh . So DO NOT GIVE UP if you still see him up in that tree ! ! Keep saying his name to him … keep saying whatever you do when you give him a drink or a treat … and if it is starting to become evening and beginning to get dark then try and say whatever you say to him just before you tell him it’s time for bed etc . Angela, you have SO been through this before. 🙂 Sadly this was a somewhat impossible situation due to the tangled undergrowth below the tree (he tried to come to us but couldn’t work his way through it) and the fact that the tree was on a very steep hillside, making it difficult to approach. We were very lucky that it worked out the way it did. I’m sure your tips may help someone else! I made this today. It took me a long time to get it into the crockpot, but it is worth every second. Oh my gosh, this is absolutely delicious!!! Very filling, though, so it’s great for a serving a lot of people, and it’s good for my diet! It’s got so many veggies in it, and with the cashews, I didn’t miss meat at all. The only change I made was I used chicken stock, since I don’t care for vegetable stock. Thank you so much for this recipe! Happy to hear that Marsha! I agree it is super diet-friendly. Made the Chili today and it was perfect. All that dicing took a bit of time, but it was worth it. Added just a pinch of cayenne for a little more heat. I truly emphasize with your macaw hunt, glad it was successful! 25 years ago we had a green severe macaw(Kona the Barbarian) who took an unauthorized flight(BTW she had just been clipped!!) out of our apartment and into the yards of three different neighbors-who were soooo gracious in helping us retrieve our sweetie. We ended up climbing a grapefruit tree where we grabbed her and proceeded to slowly fall out of the tree-holding our bird wrapped in a sweater. (further coincidences-I’m a convert and have Madonna Inn goblets as well-neeeener neeener) Anywhoo -thanks for your amazing recipes and ideas on your site-I refer my friends who are beginning challah bakers to your site for your detailed instructions.You’re a gem!!! Yummy dish. I used northern beans and less pepper and onion – modified the spices a little bit to our liking – really good! I have just received my chana dal beans aka small chick peas and was thinking how I would use it. Tori……chana dal beans are supposed to have a low carb load. My only problem is my son was here and took all my cashews, which might be a good thing because I WILL cook some beans to see if it is a different texture or taste to chick peas. Just made this for dinner with garlic bread. I was a little nervous about the combination of spices, but it was absolutely delicious. I made it in a pot rather than a slow cooker. I did cook it the full 4 hrs. No prob. The recipe was just what I needed here in cold wet London. Thank you for this one and all the others I have successfully tried. So pleased that your Solomon is home with you. I just made this for dinner. It is delicious. So glad that everything worked out for you with the beautiful Solomon! Losing a pet is heartbreaking and I’m sure your heart was in your stomach for most of the day! The chili looks delicious and chickpeas are one of my favorite things! I’ll try this recipe soon! Tootles! Mmmmm so need to make this!!! What a story! I’m so glad your Solomon is back safe and sound! I will try this recipe, it sounds so good! If you are strictly Orthodox and concerned about touching the device during cooking, then yes there might be an issue. It would be best to check with your rabbi on this matter; I can’t advise you on that because I am not Orthodox. Re: the cooking cycle, most slow cookers have a low setting that automatically switches to warm when the cooking is done. You set the cook time (in this case 8 hours) and then the warm setting automatically kicks in after the cooking is complete, keeping the meal warm but not overcooking it till you’re ready to serve. Every slow cooker is different; you should refer to your cooker’s specific manual to find out how your particular model handles the warm setting. I hope this helps to clarify things a bit. I do not use the slow cooker but leave items in the oven at 250. I was at the home of a rabbi who just had the oven on at 160. Google Chabad and they have the answers to this question. Hey, thanks for the recipe box and a great way to save recipes! I want to try your spice mix. ONly one question – why cashews? Janet the first couple of times I tested the recipe it was lacking something for me. I saw a bag of cashews sitting on the counter and thought, why not? It turned out to be a delicious addition, it added a bit of meatiness and texture to the chili. Sounds delicious – can’t wait to try it. Oh wow, that is quite a story with your beautiful Solomon. What an anxious time, and what dedicated tree trimmer professionals and kind neighbors. Solomon has very good parents. Thanks for the recipe, sounds delightful. I love channa masala Jaishree! However this has a very different flavor profile from chana masala, it’s not a creamy chili and the sweet potatoes add umami to the flavor. The recipe looks great. How would you modify it to be prepared instead of cholent for the Shabbos day meal? I enjoy serving alternative hot dishes instead of the expected. Thanks in advance. Wonderful to hear a good pet story always. Chava, try cooking it on low for 8 hours then keep on warm till ready to serve. Keep an eye on the liquid level– since I’ve never tried the 8 hour cooking process I would double check to make sure it’s not getting dry. It should be fine, but to be on the safe side check it halfway through cooking and towards the end if you can. You made me cry happy tears into this recipe. G-d bless you! Many tears were shed this week Susie, and many prayers said! It might sound strange, but all night when I couldn’t sleep I meditated/visualized Solomon in his aviary the next morning. And that’s exactly what happened, despite the odds! Mind over matter, perhaps? We are so grateful everything worked out. I will be making this for the cold days ahead. Looks great! Did you KNOW somehow I was about to google a vegan slow cooker recipe for tomorrow?? Thanks! Wow. I love happy endings. He looks quite smug and happy with his adventures…he has no birdly idea what angst he put you through! He is adorable, and the chili is a great celebration. 🙂 He is your blue-feathered son. This sounds good, even to us flesh-eaters. However, it’s not a simple crock-pot recipe. I don’t have a slow cooker, can I just use a big pot with a lid instead? Hi Teree- yup! Just cook it on low heat and monitor the liquid levels to make sure it stays moist. It will probably take less than 4 hours, but I don’t have an exact time for you because I haven’t tested it that way. Enjoy! So glad you got the beautiful Solomon back safely. I’m not a chili eater but this sounds good even to me! I love your cooking blog and follow you on Pinterest. I have made several of your recipes and have never been disappointed! Can’t wait to try this one! One question- how do I find out the carb content and other nutritional information per serving for the recipes? I have health issues that require restricting carb content. Thanks! Hi Barb, so happy you’re enjoying the recipes! I have recently added nutritional info to my recipes, it appears just below the recipe itself. Nothing like celebrating the return of a beloved animal with a beautiful dish that does not come at the expense of other beloved animals. So happy you got Solomon home safely. This looks do good! Definitely going to make this! I remember how scared I was when my dog scooted out the front door, walking around the block in my pajamas, recruiting neighbors to help, calling his name -what a fright! 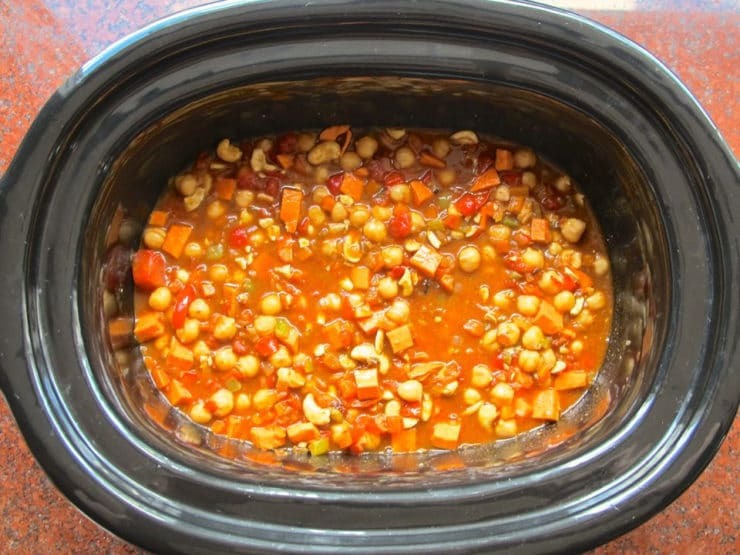 Did you try adding all ingredients to the slow cooker without the prior cooking steps? Would that impact the amount of liquid needed? So glad you were able to get Solomon back safely–that must have been an endless night for both of you! Hyacinths are so beautiful! I’ve had a sweet male Eclectus parrot for 26 years. Diane I’ve always wanted an Eclectus! They are so beautiful and sweet-tempered. So glad you got Solomon back! And the chili sounds wonderful! 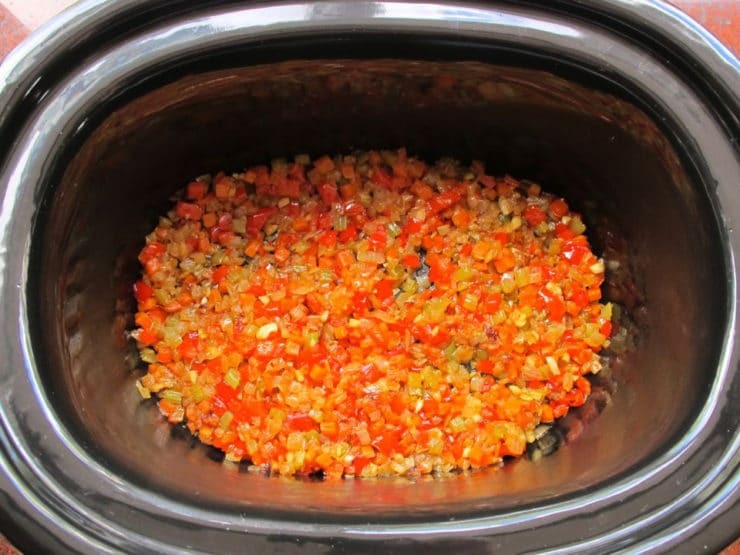 Yum, i live slow cooking in cold weather, and with crock pit liners its more simple to do! The recipe sounds divine but more importantly so glad you got Solomon back safely! This recipe looks so soooo good! Love the happy ending. Glad Soloman is okay – a big thank you to the tree trimmers! They are my heroes! I am EXHAUSTED. What a wild ride this was. That is one gorgeous bird! So happy you had a happy ending. What a beautiful bird!! How scared you must have been. That’s such a scary experience! I’m so glad that you got him back okay! And your recipe looks like the perfect thing to warm me up right about now. Perfect for those “chili” days… Sorry– in a mood to be “punny”. This chili looks perfect! Love the flavour!